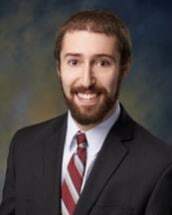 Mr. David A. Karman is an associate at Gilbert Employment Law, P.C. In his practice, Mr. Karman focuses on providing representation for discrimination, harassment, hostile work environment, and whistleblower retaliation claims, as well as assisting individuals with disabilities request reasonable accommodations. Additionally, Mr. Karman has experience with Fair Labor Standards Act (FLSA) claims, Family and Medical Leave Act (FMLA) claims, and federal labor arbitration. Before joining the firm as an associate attorney in 2017, Mr. Karman served as a law clerk with Gilbert Employment Law, and worked for the EEOC's Office of Legal Counsel and for the Constitution Project. He also worked for the Institute for Public Representation's Civil Rights division, representing individuals in Title VII and Title IX discrimination claims, 42 U.S.C. § 1983 claims for constitutional rights violations, and Freedom of Information Act requests and appeals. Mr. Karman was an editor for the Georgetown Journal of Legal Ethics. Mr. Karman earned his Juris Doctorate from the Georgetown University Law Center. Mr. Karman graduated from the University of Delaware in the Honors Program, with a Bachelor of Arts in English and a minor in Legal Studies. Mr. Karman previously worked for the Massachusetts Commission Against Discrimination where he helped expand the "Spreading Education to End Discrimination" (SEED) outreach program and provided civil rights education presentations to communities most likely to experience workplace and housing discrimination.